I just got over the most horrible flu, so I haven’t felt like making anything too complicated the past couple of days. Sandwiches are always my fallback dinner option when I’m lazy, but I always get into a rut of using the same ingredients. Today, the yams were calling out to me at the vegetable market. This is hands down my new favorite sandwich, it’s amazing! And good comfort food. 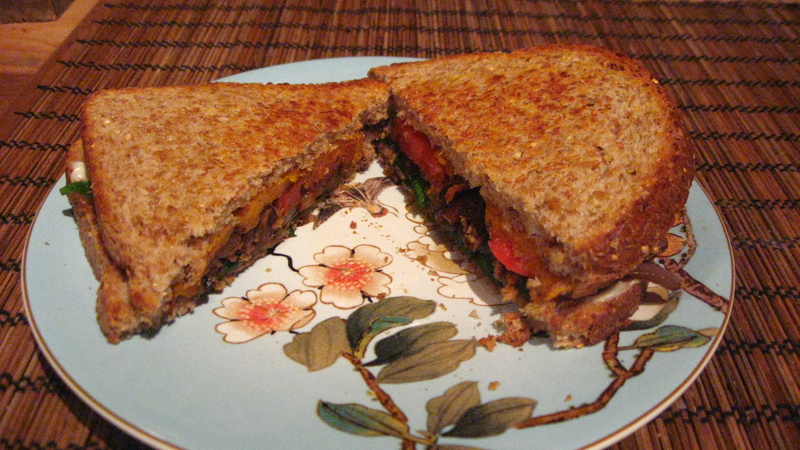 -spread some vegenaise on some bread and add the rest of the veggies however you want! 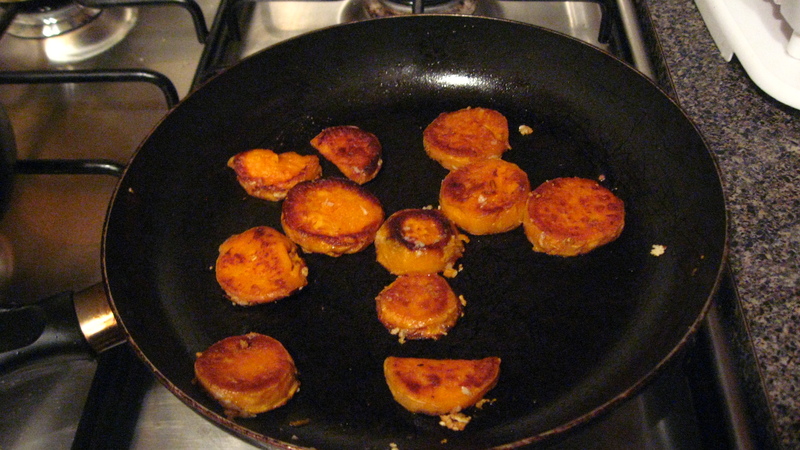 Use the same pan as the yams, and grill the sandwiches on both sides until golden brown. These ingredients were enough for two sandwiches, maybe more if you use a bigger yam. So yummy, I’m having one for lunch tomorrow too!